We work with schools, students and their communities to continue to improve school libraries and to make sure that more children can experience the joy of reading. Libraries provide a calm and dedicated environment for students to read and borrow books, study for class and learn at their own pace. Libraries also let students learn more about the world and their interests, providing them with the opportunity to explore new interests and develop a love of reading. Many of the libraries at our Ethiopian link schools lack the resources and expertise to give children the best chance to achieve and flourish. Many rural schools lack even a dedicated library space, putting their students at an even greater disadvantage. Our libraries project runs alongside our literacy project. Find out more!. All libraries need books, and this project ensures that each participating school library receives relevant textbooks, fiction books and our folk fairy tales. We are improving how libraries are managed and how students are helped to explore and enjoy the resources by offering librarianship training to teachers and school librarians. Making the library a more welcoming and engaging environment while raising its profile round the school means that more students will be reading, exploring and learning, and our staff work with schools to understand how the spaces can be made more comfortable. Where schools don’t have dedicated library spaces we will be extending our Donkey Library programme, bringing excitement and reading to hundreds of rural children. Link Ethiopia has been working with schools and students to improve the resourcing, management and quality of school libraries. To date, we have worked in 46 schools to improve libraries, providing soft furnishings, educational games, and thousands of books. School librarians in Ethiopia often find it almost impossible to access professional development, and so we have trained librarians in 46 schools to have the confidence and skills to run their libraries and make the resources available to their students. We have held the exciting library awards scheme for two years now, and have been delighted that a record number of schools have achieved gold and silver status. Link Ethiopia has three donkey libraries that serve around 3,000 children, and we are looking forward to adding to our herd in the years to come! Improve libraries in Ethiopia. Donate Now!. We have so far rolled out our library project to 46 schools, however ultimately we want to involve all Link Ethiopia schools in the scheme. Schools are prioritised for the programme according to need, and the next school we have identified to take part is X School. £333 guarantees X school’s involvement in all aspects of the library project, including upgrading the quality of the library room, improving the quantity and quality of books, librarian training and the library awards scheme. All libraries need books, but a good library has relevant textbooks that support the curriculum, engaging and age-appropriate fiction, and fun and educational games. Great libraries are also comfortable and bright spaces that encourage students to spend time exploring their interests. 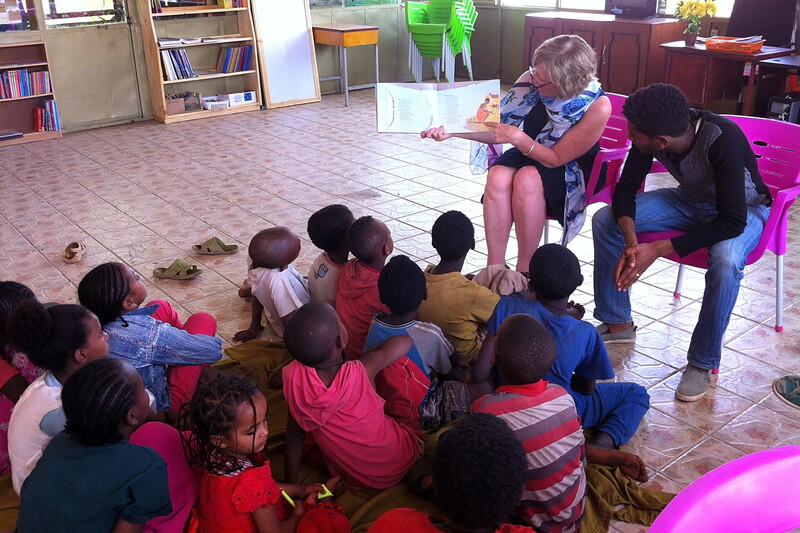 Donating £340 will mean that fifteen schools will be provided with quality textbooks, fiction and Ethiopian folk tale books, giving 16,500 children access to exciting, bright and educational books. The library awards scheme provides schools with the clear criteria and the support needed to create a great library. 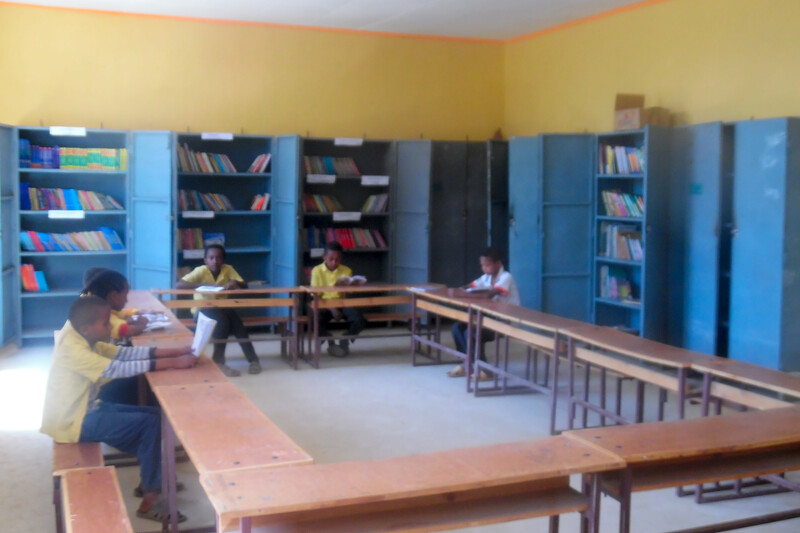 Link Ethiopia work with each school to understand their library needs, creating a tailored plan and providing the school with the support and expertise needed to improve their libraries. £4,370 will allow thirty schools to take part in the library awards scheme, providing the guidance, support, resources and incentives to guarantee better libraries for 33,000 children.